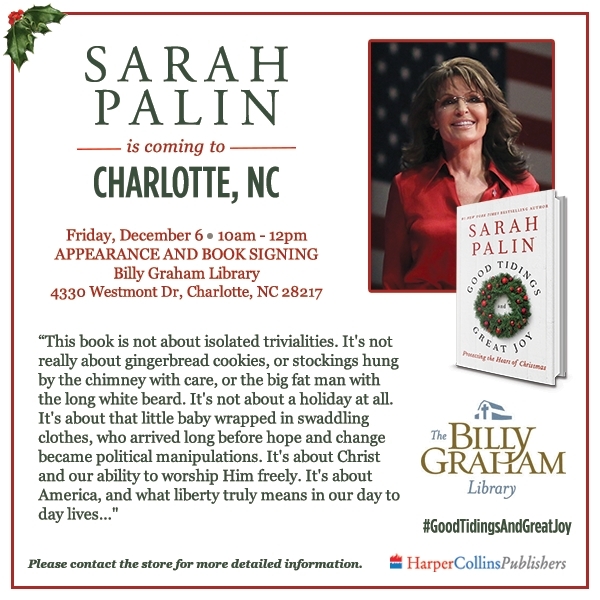 Local news in Monroe, Louisiana is reporting that Governor Palin will be signing books at the Books-A-Million there on Saturday, December 7. Monroe — Former Alaska Governor and Vice Presidential Candidate Sarah Palin will be in the Twin Cities this weekend. 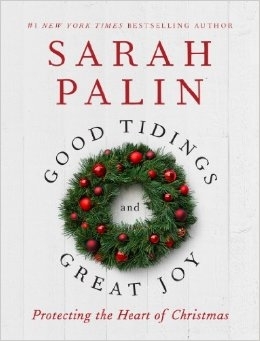 Sarah Palin will at the Books-A-Million store on Lamy Lane this Saturday signing copies of her new book “Good Tidings and Great Joy: Protecting The Heart of Christmas”. The book signing will be from 6 p.m. – 8 p.m.
Each individual must purchase a book from Books-A-Million to receive a wristband for the book signing event. 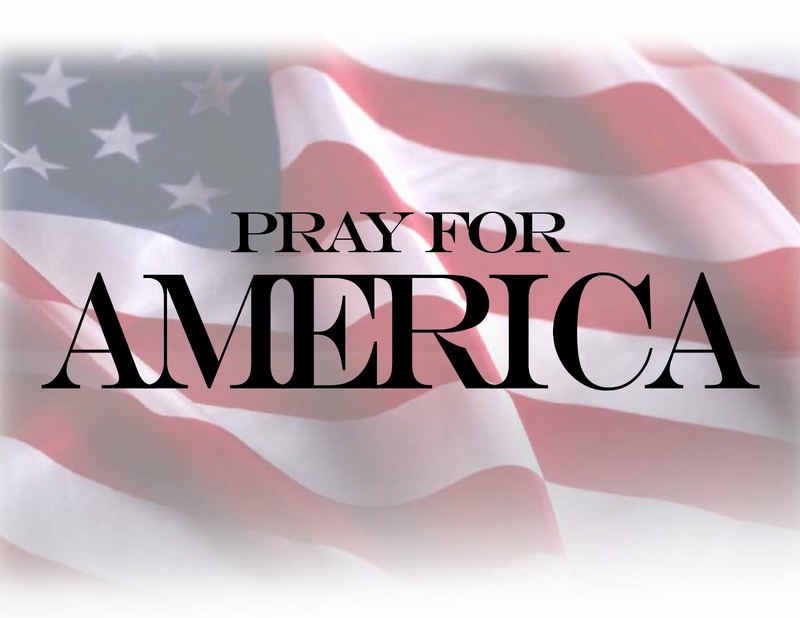 The event is 6-8 p.m. at Books-A-Million, 1201 Lamy Lane. Wristbands will be distributed beginning at 10 a.m. Friday. Each individual must purchase a book at Books-A-Million to receive a wristband for the signing.